Dolly's little dream just keeps getting bigger! For years now Dolly Parton's Imagination Library has been growing by leaps and bounds throughout Canada, the United Kingdom and the United States. Some ask why but most ask how does this continue to happen even during tough economic times. Yes there are programme champions that do lose funding but the overall growth and strength of the programme continue to be alive and well. We think it's because the programme is so flexible in scale and easily modifiable. It doesn't matter if an affiliate is maybe one or two people or in contrast and entire state or province, it still works the same and it always starts with one single book. Take for example, Cadwyn Housing Association in Wales, UK. They set up Wales' first Dolly Parton Imagination Library and already today they have more than 70 children registered! So you see just as Cadwyn is making the programme a reality for children in Wales and Alison Lilburn gives testament of the programme's proven success in Rotherham, Canterbury Children's Centre is working to bring it to the children in Bradford! That's how it works, that's how it survives even through tough times and that's why it works......It all begins with one book & one child. 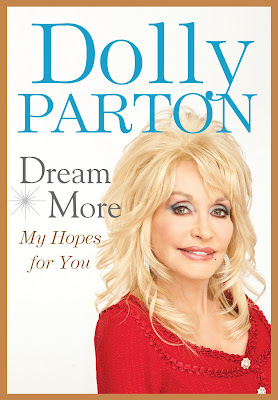 NEW YORK, NY, June 4, 2012 – Dolly Parton has agreed to write DREAM MORE, her new book of inspirational wisdom, it was announced today by Ivan Held, President of G. P. Putnam’s Sons. The book, for which World, Audio and E-book rights were acquired, will be edited by Riverhead Executive Editor Jake Morrissey. Publication is planned for November 2012 by G.P. Putnam’s Sons with paperback publication by Riverhead Books to follow. Also planned is a version of DREAM MORE for young readers to be published by Penguin Young Readers division at a future date. Dolly Parton will record her own audio book. 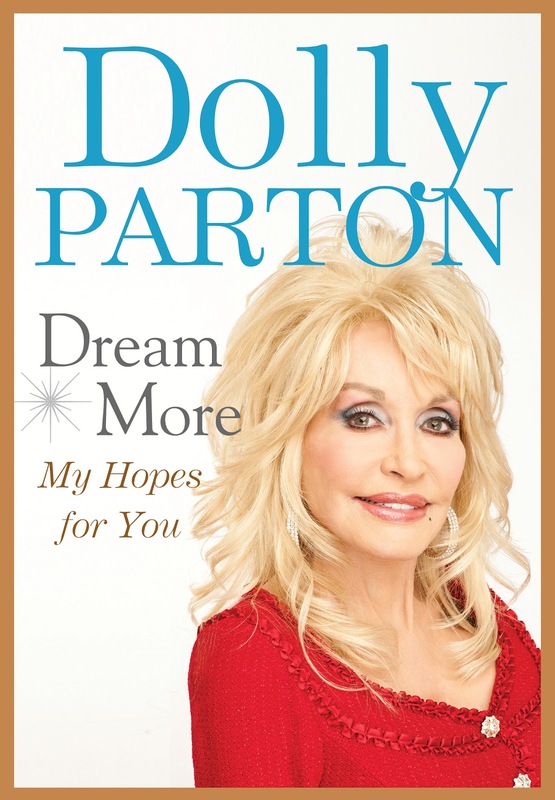 Dolly Parton is one of world’s true superstars and in DREAM MORE she recounts her deeply held philosophy of life and shares her heartfelt hopes for everyone. Based in part on the hugely popular commencement speech Dolly gave at the University of Tennessee in 2009 DREAM MORE expands greatly on the themes of that speech to dream more, learn more, care more, and be more. The book is an exploration of the personal and spiritual philosophy she has lived by over the course of her extraordinary career. It is a funny, poignant and uplifting anthem for people who want to take charge of their lives and forge a future on their own terms. Dolly Parton has always been a dreamer. As a girl in Tennessee she stood on her porch, turned a tin can on a tobacco stick into her microphone, imagined herself dressed in a sequined frock, and sang with all her might to the chickens in the yard as though they were her biggest fans. She held on to that dream of singing on stage to thousands and it carried her from a shack at the foothills of the Smoky Mountains to the heights of the entertainment world. One of Dolly’s biggest dreams was always to give back to her hometown in Sevier County, Tennessee. In addition to opening Dollywood, her own award-winning theme park there, she also began the Dollywood Foundation to inspire children in her home community. The foundation currently provides the Dolly Parton Imagination Library to promote early literacy. According to Dolly the key to learning more is being inspired to read more. 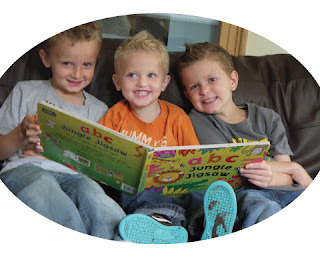 The Imagination Library, through its partnership with local sponsors, gives every registered preschool child a book per month from the time he or she is born until the child reaches kindergarten. Penguin Group (USA) has been the exclusive provider to the program since 2001 and the program has distributed more than 41.5 million books since then. Through the Imagination Library Dolly aims to instill a lifelong love of learning and to inspire all children to dream more, learn more, care more and be more. And now with the publication of DREAM MORE she can share her singular and inspiring message with all of us. Dolly Parton is a legendary singer, songwriter, performer and philanthropist who has contributed countless treasures to the world of music entertainment, penning classic songs such as “Jolene,” “Coat of Many Colors,” and her mega-hit “I Will Always Love You.” She is the most honored female country performer of all time and among her many awards she has garnered 7 Grammy Awards, 10 Country Music Association Awards, 5 Academy of Country Music Awards, 3 American Music Awards and is one of only five female artists to win the Country Music Association’s Entertainer of the Year Award. She has achieved 25 RIAA certified gold, platinum and multi-platinum awards; she has had 26 songs reach number 1 on the Billboard Country charts, a record for a female artist. She has 42 career Top 10 country albums, a record for any artist, and she has 113 career charted singles over the past 40 years. She has sold more than 100 million records and has composed more than 3000 songs. In December, 2006 Dolly was honored by the Kennedy Center for the Performing Arts for her lifetime of contributions to the arts. In June 2007 Dolly was named the recipient of the prestigious Johnny Mercer Award from the Songwriter’s Hall of Fame. The Johnny Mercer Award is exclusively reserved for a songwriter who has already been inducted into the Songwriters Hall of Fame in a prior year, and whose body of work is of such high quality and impact, that it upholds the gold standard set by the legendary Johnny Mercer. Another milestone in the living legend’s iconic career was the presentation of a Lifetime Achievement Award from the Grammys during its 2011 national telecast. Always dreaming and always looking forward, Dolly is busier than ever. A Broadway musical and theatrical version of her life story is in the works, and she is working on various children’s projects. Yet these projects are just a few of her many interests at the moment. The phenomenon of Dolly Parton continues to flourish, as she remains one of world’s true superstars.